These days maternity photo shoots are all the rage! We can blame social media for upping the ante on the basic bathroom baby bump selfie. We all want to post pics of us looking radiant and glowing while pregnant. Yet, it’s been a little challenging to find gorgeous plus size maternity gowns…until now! 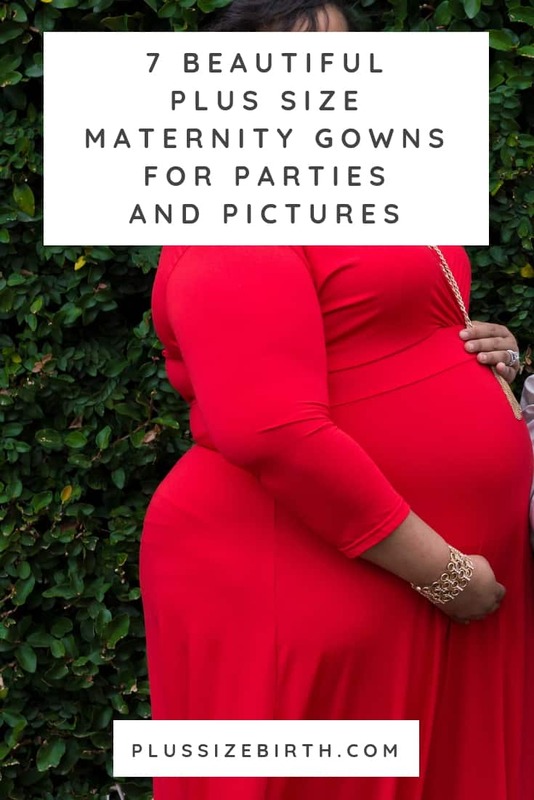 Beyond just having maternity photos taken, below you’ll see plus size maternity dresses for baby shower celebrations (or mother blessing), and any formal events you might be attending, or even just a special date with your love! When it comes to feeling beautiful during pregnancy, a maternity gown can do wonders. This purple goddess is wearing an off shoulder maternity dress by Korinn Art Design. The dress will make you look like a million bucks! We’re also pretty obsessed with their sweetheart neckline maternity dress (not pictured but a must-see). Both dresses go all the way up to a 5XL. Yes, you read that correctly! 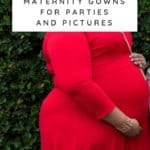 Pink Blush is a popular website for moms-to-be looking for plus size maternity dresses for photoshoot opportunities (be it with a professional or with your best friend). This floral gown comes in a size 1XL, 2XL or 3XL. Be sure to check out their sale selections for great deals! Looking for a dress that displays your bump for a photo shoot? This split jersey chiffon is a lovely option by Boutique By Agnes. Be sure to message the boutique before placing your order to share your size needs. If you’re thinking, ‘I could never show off my belly because it doesn’t look perfectly round,’ you’re not alone! Many plus size moms have a belly that’s shaped like a “B” (often called a B belly) but a good photographer can make your belly appear more like a “D” using creative angles and props. 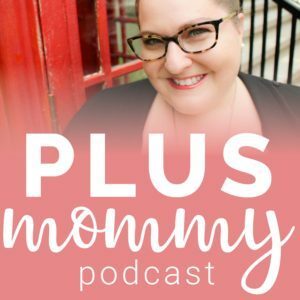 Ask your prospective photographer about their experience photographing plus size moms and request to see images from their portfolio in advance. Just trust us, it’s worth it. Sometimes pushing yourself out of your comfort zone in the form of a maternity photo shoot can result in a shift in how you feel about your body (as well as images you’ll cherish forever). Read 5 Ways to be Thankful for Your Body During a Plus Size Pregnancy to see more of KC’s jaw dropping photos. This peach dress goes up to a 44 bra size, listed as a 3XL on the Silk Fairies Etsy shop. It has quite a few items that you can customize if you feel like adding a front or side slit. It’s oh-so-pretty! to recreate this fairytale look. You can read all about Camie’s Whimsical Plus Size Maternity Photo Shoot and see more photos! You don’t have to be limited to maternity dresses just because you’re pregnant! 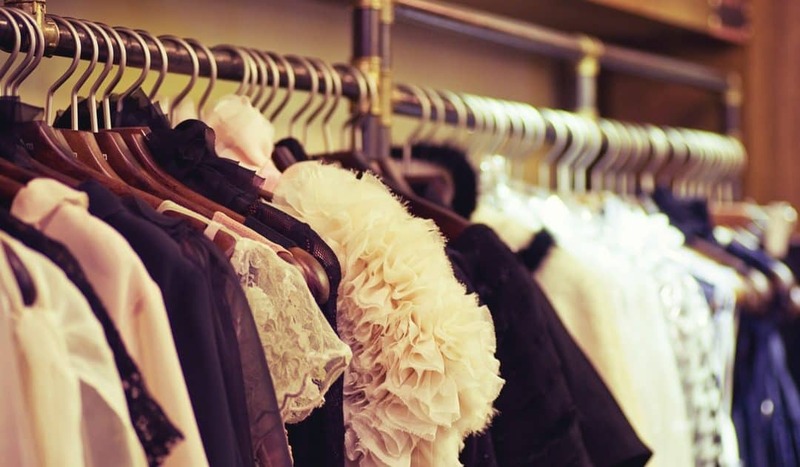 Not only can you save a ton of money but you’ll be able to wear these dress options well beyond pregnancy. Though let’s just be honest and say that many of us moms still wear some of our favorite plus size maternity apparel years after pregnancy is over! Plus size maxi dresses are perfect to wear before, during and after pregnancy! Maxi dresses are easy to dress up with jewelry or dress down with a cute plus size jean jacket. Best of all, maxi dresses are far more affordable than plus size maternity gowns. to complete her head-turning look. You can do the same and you’ll be surprised how many of your own non-maternity clothes will last well into pregnancy. We hope these 7 plus size maternity gowns have inspired you to splurge on a fancy dress to wear for maternity photos. You can wear the same gown for your baby shower and feel like a goddess. Or just wear it while relaxing on the couch eating pickles and binge-watching Netflix shows! See even more Plus Mommy community members rocking their maternity gowns here.